The Best Science Fiction and Fantasy of the Year Vol. 8 edited by Jonathan strahan has found a new home at Solaris. 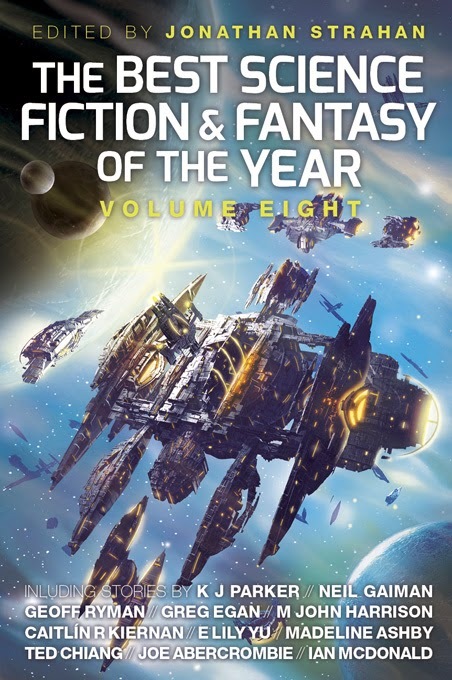 The latest volume of this anthology contains stories from the biggest names in genre, including Neil Gaiman, Joe Abercrombie, Madeline Ashby, Greg Egan, Lavie Tidhar, Robert Reed; as well as some of its newest rising stars. This looks like a promising and diverse selection of the best short stories of the past year and, if past editions are anything to go by, this will be a must read for fans of short fiction. The Long Earth is open. Humanity now spreads across untold worlds linked by fleets of airships encouraging exploration, trade and culture. But while mankind may be shaping the Long Earth, the Long Earth is, in turn, shaping mankind - and a collision of crises is looming. More than a million steps from our original Datum Earth a new America has emerged - a young nation that resents answering to the Datum government. And the trolls - those graceful, hive-min humanoids whose song once suffused the Long Earth - are, in the face of man's inexorable advance, beginning to fall silent . . . and to disappear. The Long War is set 10 years after the events in The Long Earth. Joshua is now married and has a child of his own. Tensions between the US government and the colonies are on the rise and people are exploiting the trolls in the worst possible ways. Joshua is called to help solve the troll abuse and their subsequent migration away from humans. The title is somewhat misleading; if you expected explosions and battles you will be disappointed. The war at play here is one of a far more metaphorical variety - a war on people’s perceptions of what constitutes sentience, how the world should be governed and on the status quo in the wake of the discovery of the Long Earth. 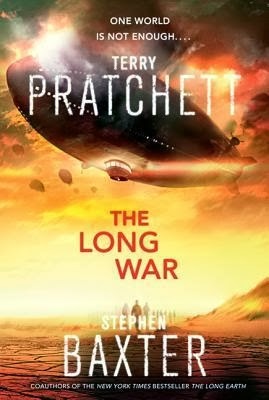 The Long War has some classic moments of Pratchett’s humour thrown in that alleviates the serious tone of the overall story. My biggest criticism of The Long Earth was that the plot seemed disjointed. This has been remedied somewhat in The Long War. There is a more concrete central plotline (Joshua’s attempt to fix the troll problem), but it soon becomes jumbled again with the introduction of new characters and sections which don’t seem to play any role in the story arc except to lay the groundwork for the next instalment. This was less problematic in the The Long Earth since it was the start of the series, but I would have expected this second novel to have a much clearer direction of where the story is going. The ending is bittersweet. It was good to be reunited with familiar characters and to inhabit the Long Earth once again. There are hints of very promising things to come, but I hope the series manages to find some focus for the story it wants to tell. Without an overarching plot to provide momentum it will be all too easy to lose interest. As with The Long Earth the plot seems to wander all over the place and you still don’t have a clear direction where things are going. That being said, this continues to be an intriguing read with some very interesting ideas being explored, but interesting ideas can take you only so far. I enjoyed reading The Long War. The writing is very good with some beautiful and poignant observations on life, but the lack of a cohesive overarching plot just doesn’t satisfy. The series is taking the scenic route; the problem is that the journey might become too long and cumbersome without a clear destination in sight, especially if it’s going to be a 5 book series as speculated. 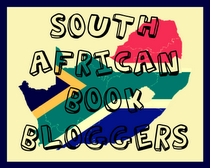 Thanks to Tamaryn from Random House Struik for providing the review copy.